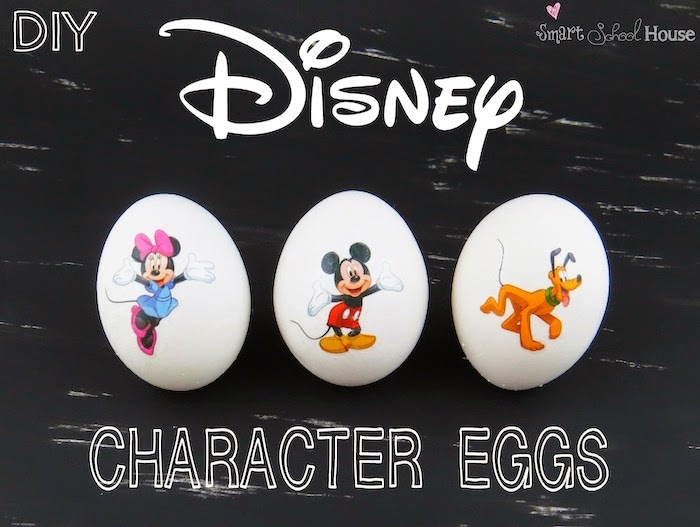 I was searching Pinterest for some fun Easter eggs ideas when I came across this one : DIY Disney Decorated Eggs. Being the Disney lovers that we our in our house, I decided to try this idea for myself. 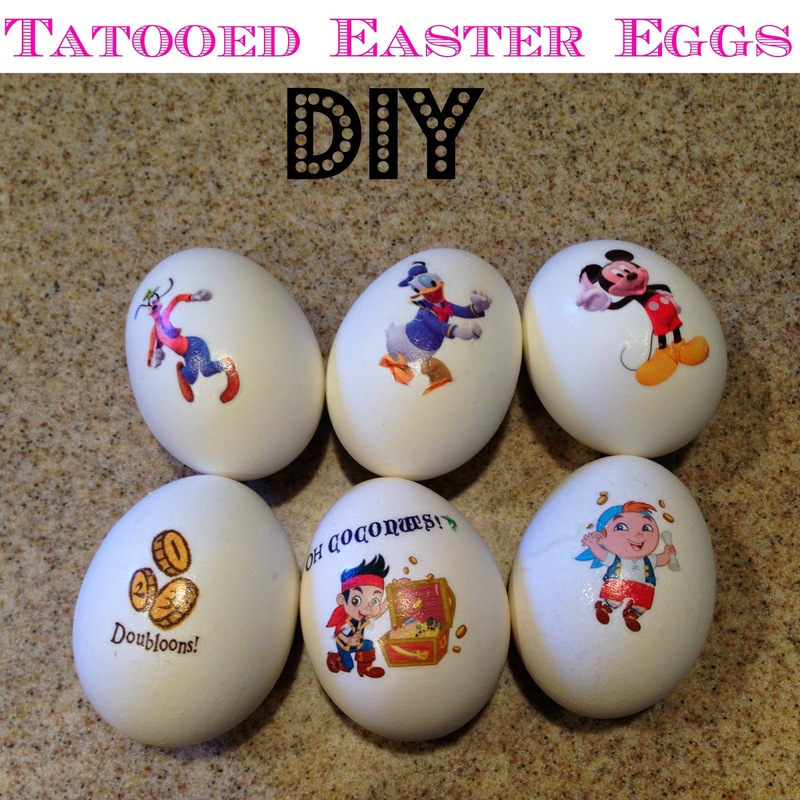 First, cut out the tattoos that you would like to use and make sure they fit on the eggs. Next, remove the protective plastic seal from the temporary tattoo. Gently place the “sticky” part of the tattoo face down on your hardboiled egg. Place a wet sponge on top of the tattoo and HOLD it there for a good 30-60 seconds. I would recommend about 45-60 seconds and I do recommend using a pretty wet sponge. To be totally honest, this really wasn't that easy. Maybe it was just because I wasn't patient enough, but it was really hard to get the tattoos to stick to the eggs. Maybe because of the texture? Maybe because the eggs were a little wet before I stuck the tattoos on? Or maybe because I didn't hold the sponge on long enough? Whatever the problem, I will have no idea. I do love the outcome though. I think they turned out super cute. But they were very time consuming. So, we will enjoy them this year and I will try one of my many other Easter egg pins next year! ok. this is AWESOME. we have more than our fair share of temp tattoos in our place thanks to a tattoo monster. so we just might have to do this!